Welcome to Phuc Hao Packaging Co. Ltd.
Phuc Hao Corrugated Co. Ltd. is a leading manufacturer and converter of corrgated cardboard, cardboard boxes & packaging widely used in various industries. We are located in district 12, Ho Chi Minh city Vietnam. 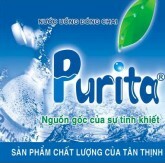 Phuc Hao Packaging is experienced in supplying a range of different customers with individual and special requirements. This ranges from high volume - name brand customers to smaller lower volume users. We can tailor a no obligation quotation for your current packaging requirements, taking into account such factors as frequency of deliveries, short lead times and long term contract pricing. Our range of cardboard & corrugated products is very diverse. We can simply manufacture corrugated board for sale to box converting plants or alternatively supply, a complete range of printed boxes, with various finishes and styles. We also can produce waxed cartons and functional coated cartons to be used in the produce and seafood industries.We have a comprehensive range of existing designs to choose from or we can design a custom made carton to suit your particular requirements. We work with companies that we know we can support. No customer is more or less important to us. We understand the crucial role that product packaging plays in your business. We ensure that your products are packaged correctly, of the right quality, consistently delivered in the right quantity, at the right time, and at the right price delivering 100% satisfaction. Thank you for visiting our website. For more product information & technical support for your specific packaging requirements, please contact our sales department or our sales hotline 84-903 695 174.